For Jonathan Franzen, form and function are inseparable: to write seriously about the human condition requires a big, important book. To tweet, text, skim, and scroll is to see a world that doesn’t have use for novels at all. Franzen uses the pages of Purity to excoriate the digital forces he sees threatening the form of the novel, with 550-plus pages dedicated to people connecting in the flesh rather than over a screen. Purity is a big, global story that spans locales—California, Colorado, Germany, Bolivia—and decades. Yet it is also, simply, a story about a search for identity. With his fifth novel, Franzen tells the tale of Purity “Pip” Tyler and her search for her missing father. What complicates things is the idea of identity itself in the age of information. As we curate our lives online to reveal a certain image of ourselves, the platforms we engage with to do this “revealing” are also collecting data to determine who we are so it can sell our selves back to us. It’s an endless feedback loop of presentation and consumption that, in Franzen’s view, reveals nothing about real, living people. Pip is in her 20s, adrift, living in a dilapidated house in Oakland, and burdened by student debt. Pip is also information. Unbeknownst to her, much of what she does during the course of the novel has been stage-directed by the hidden forces that have the most information about her. She leaves Oakland for the wilds of Bolivia, moved by the singular magnetism (and bandwidth) of one Andreas Wolf, a hybrid of Julian Assange and Edward Snowden with a dash of Aaron Swartz-styled morality. Wolf has created a cultish data-gathering utopia in the middle of the jungle called the Sunlight Project. The project is designed to unearth secrets whose exposure would benefit humanity, or Wolf alone, who basks in his international celebrity enough to blur whatever might be his true motivation. Pip, of course, sees in Wolf the opportunity to find her father. Through Wolf, Franzen waxes about the modern ailment of all this information being willfully exchanged and what it might mean for the evolution of our species. “The internet meant death…” writes Franzen, late in the novel, speaking through Wolf. 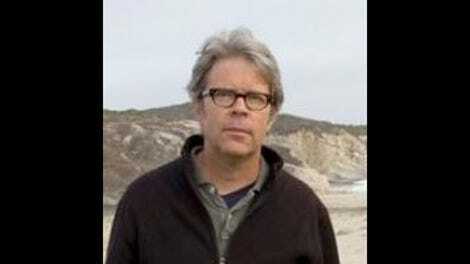 “The aim of the internet and its associated technologies was to ‘liberate’ humanity from the tasks—making things, learning things, remembering things—that had previously given meaning to life and thus had constituted life.” It’s a safe bet that Franzen is not at all eager to obtain a verified Twitter account. Parading across the expansive (and sometimes overpopulated) stage of Purity, there is also a novelist. Charles Blenheim, a writer of big, important books, allows Franzen to poke fun at author celebrity and the sometimes ridiculous, self-important bloat involved in the making of “big books” (like Purity itself). He name-drops Michiko Kakutani, the polarizing book critic of The New York Times, and has Blenheim grouse about the recent “plague of literary Jonathans.” If this sounds self-indulgent, it might be. But Franzen is never given enough credit for his sense of humor. Blenheim—in the midst of a sprawling novel about technologies that are unwittingly conspiring to demolish the aims of literary art—ends up in a wheelchair. Yes, the big, important novelist (in a novel by a big, important novelist) becomes disabled. 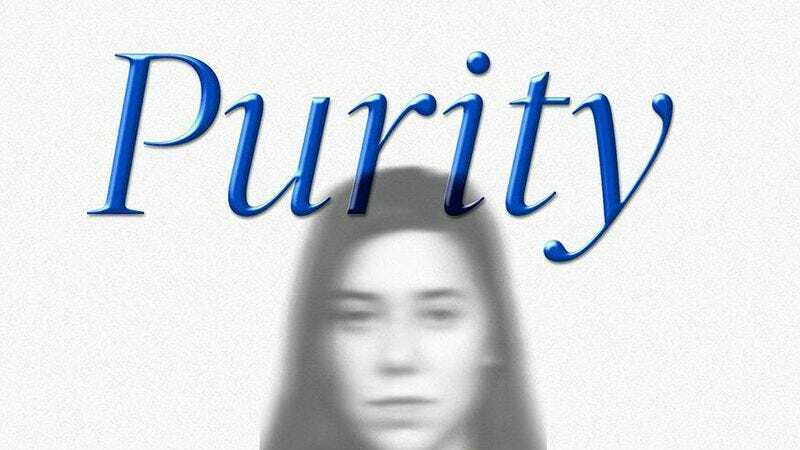 The best writing in Purity explores the dynamics between Pip and her mother, or whenever Franzen’s characters interact with all of their needs and disappointments fully displayed, drawn out in near-perfect dialogue. This is the stuff that began to surface in Franzen’s third (and best) novel The Corrections and continued through his fourth, Freedom. Franzen seems less in control here than he was in those previous works, but the untidiness that plagues parts of Purity also lends it an engaging kind of chaos. The high-wire act eventually pays off when Franzen, by book’s end, returns to people in the act of trying to understand one another, a place where the data can’t reach them. The passages that fall flat along the way—and lend Purity some of its sluggishness—are where Franzen disengages and the story becomes as icy as the machines and systems he’s describing. What interests Franzen most is the intersection of people in the real world. Purity is his attempt to parse out what happens when the exact things that fuel his best writing are disappearing behind avatars and carefully curated online personas. What’s a novelist to do when the stuff of life is no longer as abundant, when what’s left to write about is no longer interesting? In one of Wolf’s darkest hours, he comes to understand that matter is “information, information matter, and only in the brain did matter organize itself sufficiently to be aware of itself… The human brain was a very special case.” Franzen is speaking to those of us who continue to find pleasure in fiction and reminding us that pure and abundant information is boring. But if we are reading his novel, he’s preaching to the already converted. If Purity is a book about identity, Pip’s journey reveals that who we are is an invisible structure built on a foundation of the people in our lives. The “friends” we’ve collected online, or all the information we cannot use, is not who we are. We are a very special case—not the data that approximates us.